We expect so much from ourselves these days, whether that’s to be the best parent, child, sibling, worker or friend. No matter what – it’s taxing – not only on our bodies, but on our minds as well. It’s our responsibility to make time to recharge our batteries, otherwise, how can we expect to be able to give 100% to the people who need us? You can call it whatever you want (self-care, mindfulness, hygge), for me, I just like to think of it as being a buddy to myself, a good friend who is like “you know what? 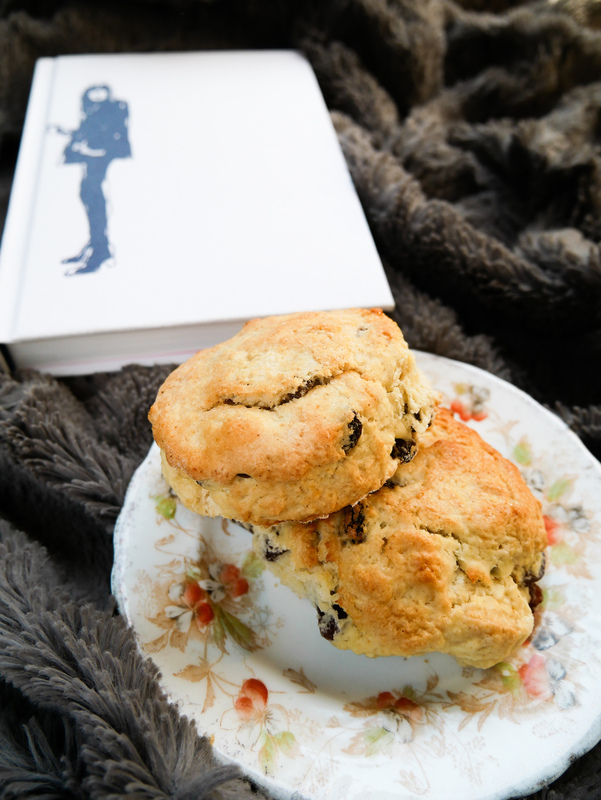 You’ve had a pretty tough run of it recently – let’s have an evening in – and a cuppa!”. I like to start off with what I’m wearing. Being comfortable in great quality pieces always seems to lift my mood, so soft leggings and fluffy cashmere socks (love these ones) are a good start, but of late I’ve also been reaching for this women’s knitwear piece which was very kindly gifted to me not too long ago. 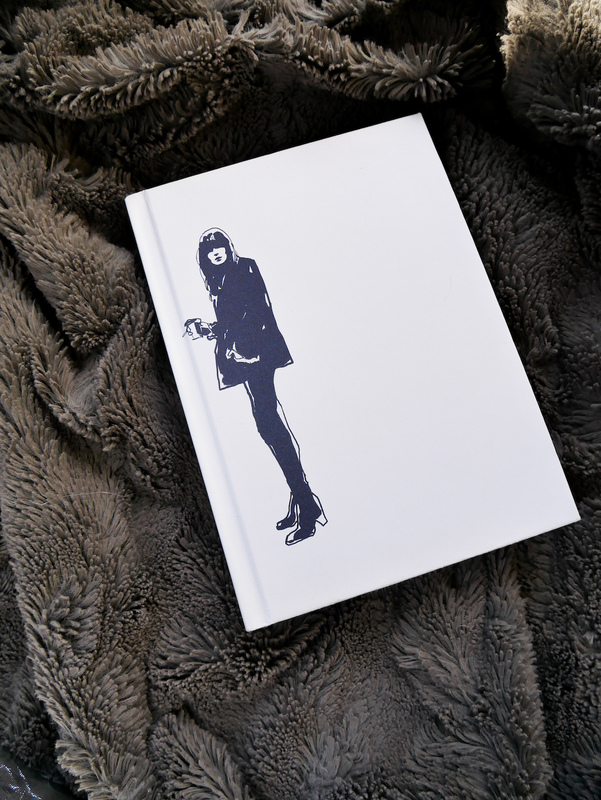 It’s made of geelong lambswool and keeps me so incredibly warm, which is fantastic because my body’s default setting – whether I’m exhausted, nervous or anxious – seems to be “ice”! The added bonus? It can easily be worn as either a jumper or a dress – so hello convenience! All that being said, when it comes to what makes you comfortable, if that’s a very old (can’t been worn outside anymore cause it’s falling apart) jumper, then that’s fine too, this is about ‘you time’, so who gives a fiddle what Susan next-door would think! This can be anything you want, it could even be a magazine. I personally like to get lost in a novel, but I do also enjoy dipping in and out of coffee table books, like this one (pictured above). I know it well but there’s no real storyline, just short pieces you can read in isolation and sometimes when I’ve allowed myself get really run down, it’s all my brain can manage. Escaping into books can be a fantastic way to switch off for awhile – even if you wouldn’t consider yourself “a reader” – so don’t rule it out. Listen, I’m Irish, tea is in our veins and is generally known as a “cure all” so it was bound to be on this list! For example “What’s-his-face down the road was giving out again”, “ah god, come in and we’ll have a cup of tea” or “I fell and broke my arm”, “right, sure I’ll stick the kettle on so”. But generally a warm drink does do wonders for the spirit, so whether it’s proper tea, herbal tea, a hot chocolate or just a warm cup of milk (drop a squidge of vanilla in there and thank me later!! ), give it a go. A warm drink in the tummy is a rather soothing feeling – just be carful of coffee and the like – if it’s late at night or you’re already feeling a bit anxious, caffeine is not going to be your buddy. Let’s face it, we all have a two year old toddle inside our head, whether we’re Hangry or just Overtired, a nap can be just what the Dr ordered, especially if you know deep down that you’ve been burning the candle at both ends. My Sister made up a few of these lavender baggies using lavender from my parents garden and I’ve been leaving it under my pillow during the day so that when it’s time for lights out, my pillow smells like a dream waiting to happen. If you lack sleep you can turn into a little gremlin, unable to be nice to anyone – and no one wants that! 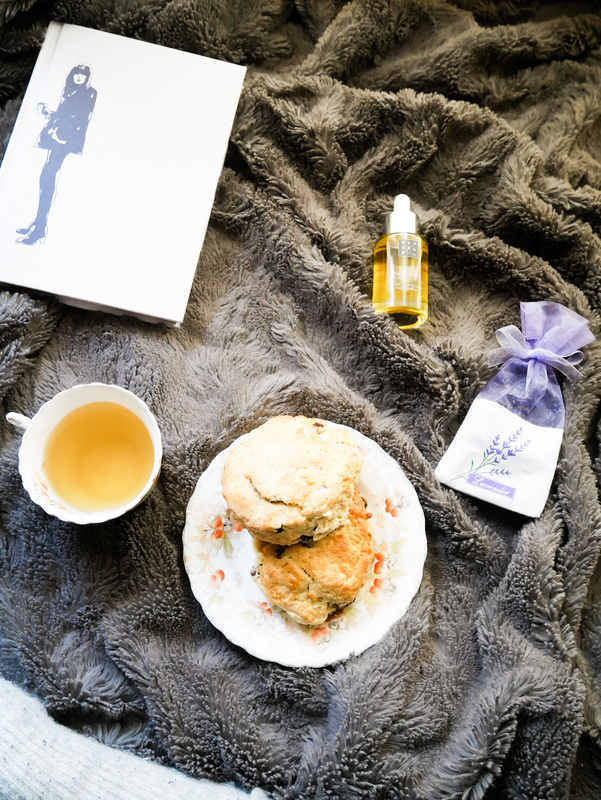 So do yourself a favour and snuggle in for a nap – even 20mins will be worth it and if you have access to some lovely lavender (spray or real) pop it under your pillow or spritz over the top and hopefully it’ll help. A hot shower is my favourite when I’m feeling low, I take all my lotions and potions with me and I return in a cloud of steam, a brand new woman. 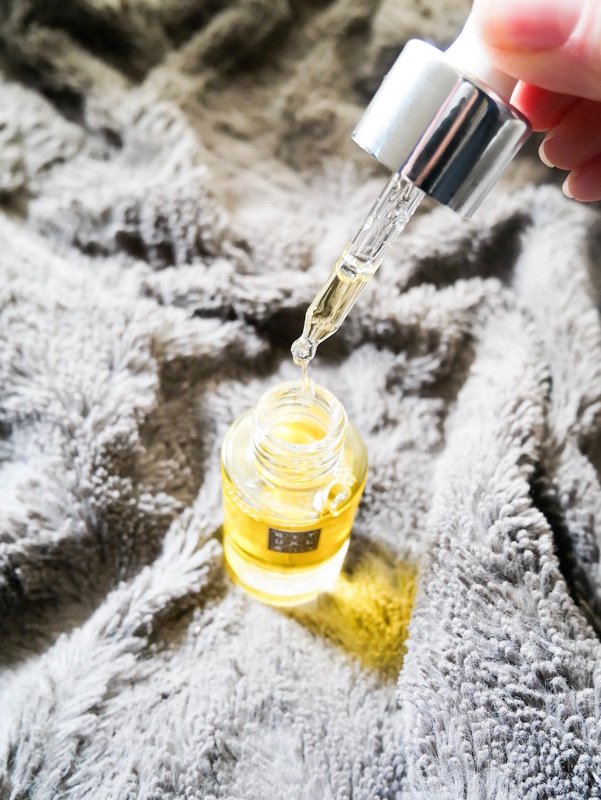 Having something lovely to pep up your skin afterwards is the business and recently I’ve been loving a few drops of Rituals Pure Face Oil after cleansing my face. I know oils aren’t for everyone, but with sweet almond, jojoba and rosehip seed oil, I think you might be convinced to give it a try. I like to rub the few drops of oil between my palms and breathe in a couple of times prior to massaging gently into my skin. It’s super luxurious and feels like a mini spa treatment. It doesn’t have to be bad for you (although it very much can be if that’s what you need! ), but something tasty to look forward to is always lovely. Just remember, this is a guilt-free treat for working so hard, you aren’t allowed then be a bully to yourself for having something nice – and besides as I said – it doesn’t have to be properly naughty, just something you really enjoy that you don’t get to have very often – a little indulgence if you will! 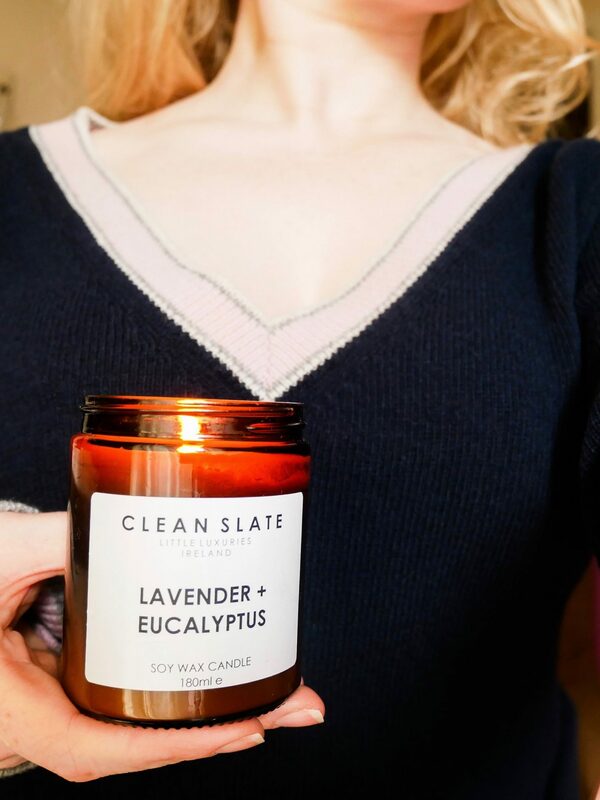 My current favourite is this Lavender and Eucalyptus candle from Clean Slate. I have no doubt as to why this is a major favourite – it’s because it reminds me intensely of our wedding day. My parents garden (as mentioned above) is full of lavender, which was freshly planted ahead of our wedding day and on the day itself, I carried Eucalyptus in my bouquet. 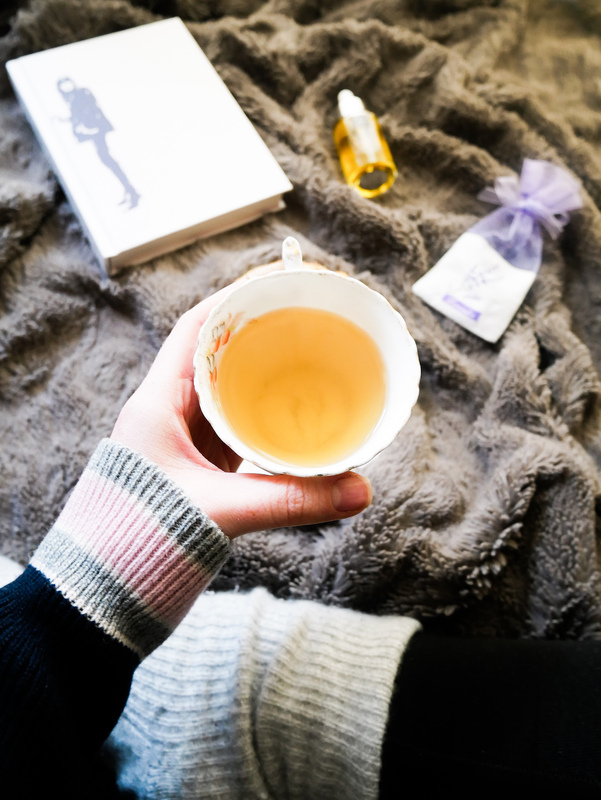 Tying important memories to scents is a well known trick and can often promote relaxation and a true sense of calm, so why not try this out the next time you’re feeling like you need a little minding. Be you own buddy, but also remember to talk. Talking is some of the best medicine we have at our disposal. Celtic & Co gifted me the jumper worn in this post. I was not monetarily paid by the company for this post and all comments and opinions on their knitwear are wholly my own. Great (and important) tips babe! I love Rituals by the way! Thank you Mónica – oh my goodness, I’ve only just discovered them and WOW – I am loving their products!! Loved this post! 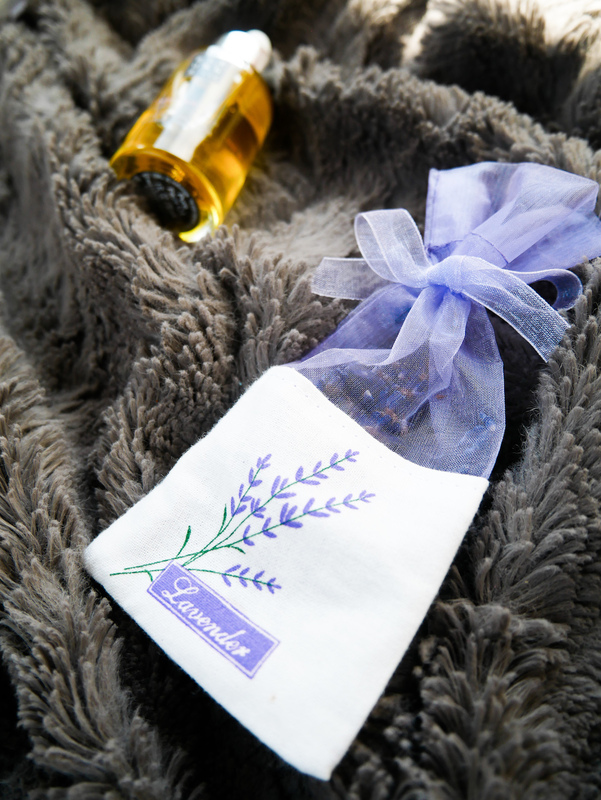 I prefer a bath to a shower when I’m having “me time” but also love a spritz of lavender on the pillow. If I need a really big relax out – it’s for sure the bath for me too! The lavender baggy or a spritz of ThisWorks sleep spray and I’m in heaven!! You are completely welcome Shaira! Self care is so important, but also so easy to neglect when life gets busy. Thanks for the reminder that we need to be kind to ourselves 🙂 You’re so right that a nap and a cup of tea can be totally restorative! Sometimes we need far more than that – but I just think it’s a pretty great place to start! !